The SAFIR consortium, a group of 13 public and private organizations, has been selected by Single European Sky ATM Research Joint Undertaking (SESAR JU) to demonstrate integrated Drone Traffic Management for a broad range of drone operations in Belgium. The goal of the SAFIR project is to contribute to the EU regulatory process for drones and drive forward the deployment of interoperable, harmonized and standardized drone services across Europe. 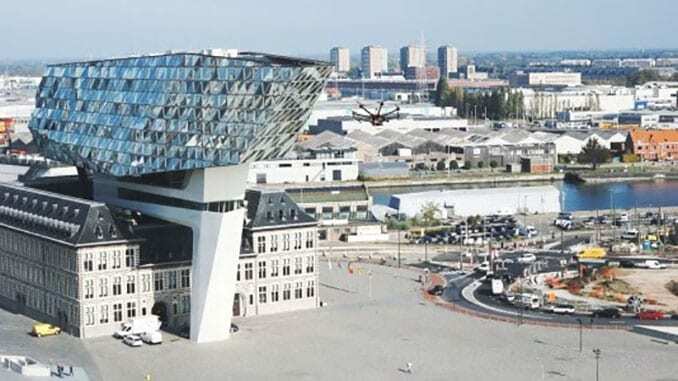 The SAFIR consortium (Safe and Flexible Integration of Initial U-space Services in a Real Environment) consists of the following oorganizations Unifly, Amazon Prime Air, Belgocontrol, DronePort, Proximus, the Port of Antwerp, Helicus, SABCA, Elia, High Eye, C-Astral, Tekever and Aveillant. U-space is an enabling framework that will evolve over time to facilitate access to all classes of airspace and operating environments – to include congested airspace – while addressing an appropriate interface with manned aviation and air traffic control. When fully deployed, a wide range of drone missions that are currently being restricted will be possible thanks to a sustainable and robust European ecosystem that is globally interoperable. The timing for U-space is critical given the speed at which the market is growing. The aim is to have foundation U-space services in place by 2019. SAFIR will carry out multiple studies and demonstrations for drone operations that are viable, robust and ready-to-implement throughout Europe. These demonstrations will include surveillance flights (including container terminal inspection, oil spill inspection) in the Port of Antwerp, parcel delivery, medical inter-hospital transport, high voltage line mapping and pylon inspection. 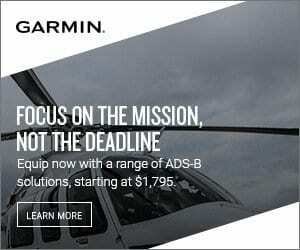 Further the use of telecommunication network technology for data communication with both manned aircraft and other unmanned aircraft will be assessed. Finally, a radar system will be deployed capable of monitoring cooperative and non-cooperative drones. The SAFIR project will demonstrate several U-services through the deployment of a multitude of drones. Simultaneously three main U-space service providers (USSP) will be controlling the airspace. The SAFIR project activities will geographically cover two areas in Belgium. The first area is Sint-Truiden with the Drone Test Centre of DronePort. The second area is the larger Antwerp area, including the Port of Antwerp. Lead consortium coordinator is Unifly, a global leader in the field of Unmanned Traffic Management based in Belgium. The Unifly platform connects authorities with pilots to safely integrate drones into the airspace. Authorities can visualize and approve drone flights and manage no-fly zones in real-time. Drone pilots can manage their drones and they can plan and receive flight approvals in line with international and local regulation. Belgocontrol is Belgium’s national air navigation service provider, in charge of the safety of air traffic in the civil airspace above Belgium and part of Luxemburg and on six national airports. DronePort is a Belgian ecosystem providing infrastructure and services to facilitate research, innovation and entrepreneurship in manned and unmanned aviation. DronePort Incubator is the home for start-ups, organizations and research teams developing, producing or servicing this new market. The test facilities guarantee segregated airspace giving the opportunity to train pilots and test and demonstrate new applications to customers in agriculture, construction, safety, logistics, etc. DronePort is developing a 15ha industry park located at Sint-Truiden with a specific focus on the aerospace and UAS industry. Port of Antwerp. As Europe’s second-largest port, the Port of Antwerp is a major lifeline for the Belgian economy: more than 300 line services to over 800 destinations ensure global connectivity. The Port of Antwerp annually handles around 224 million tonnes of international maritime freight, and is home to Europe’s largest integrated chemical cluster. The Port of Antwerp accounts, directly and indirectly, for a total of around 143,000 jobs and more than €20 billion added value. Helicus operates medical drone based transport solutions. As a platform integrator Helicus works together with air traffic control authorities, health care organisations and industrial actors to offer a complete medical transport solution. Elia Group is active in electricity transmission. It ensures that generation and consumption are balanced around the clock, supplying 30 million end users with electricity. With subsidiaries in Belgium (Elia) and north-east Germany (50Hertz), it operates 18,600 km of high-voltage connections. As such, the group is one of Europe’s top 5. With a reliability level of 99.99%, it gives society a robust power grid, which is important for socio-economic prosperity. It also aspires to be a catalyst for a successful energy transition towards a reliable, sustainable and affordable energy system. C-Astral, Slovenia, is a manufacturer of long-endurance drones for civil and military applications, and an aerospace solutions provider. No Replies to "SAFIR Consortium To Carry Out U-space Drone Demonstrations In Belgium"